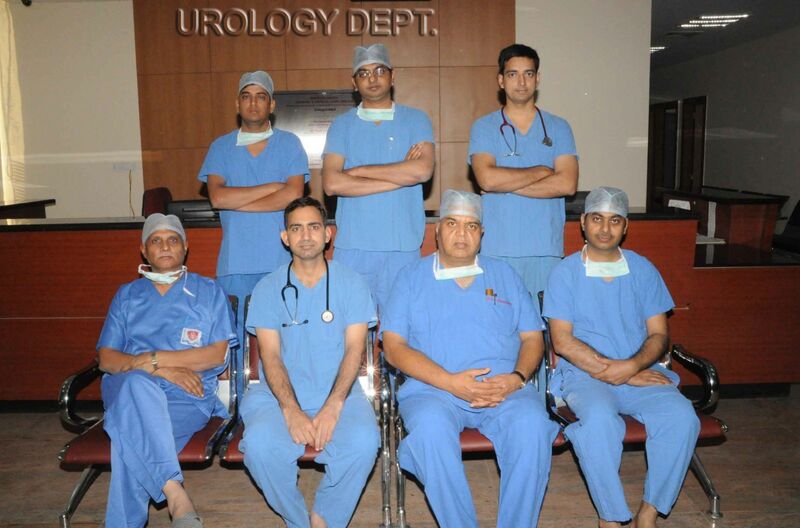 Mahatma Gandhi Urology and kidney Transplant Center is a leading center for innovative treatments. Our center is dedicated to highest standards of patient care with human touch, offering pioneering procedures that minimize risk and hasten recovery. We aim to provide cutting edge services with round the clock delivery of care for dialysis, transplant and chronic kidney disease. The pioneer department headed Dr. T.C. Sadasukhi with his experience of almost 40 years in urology, He is an eminent urologist who is well known for his work in India and abroad. Treatment of stone & prostrate by 100w Holmium Laser technique. 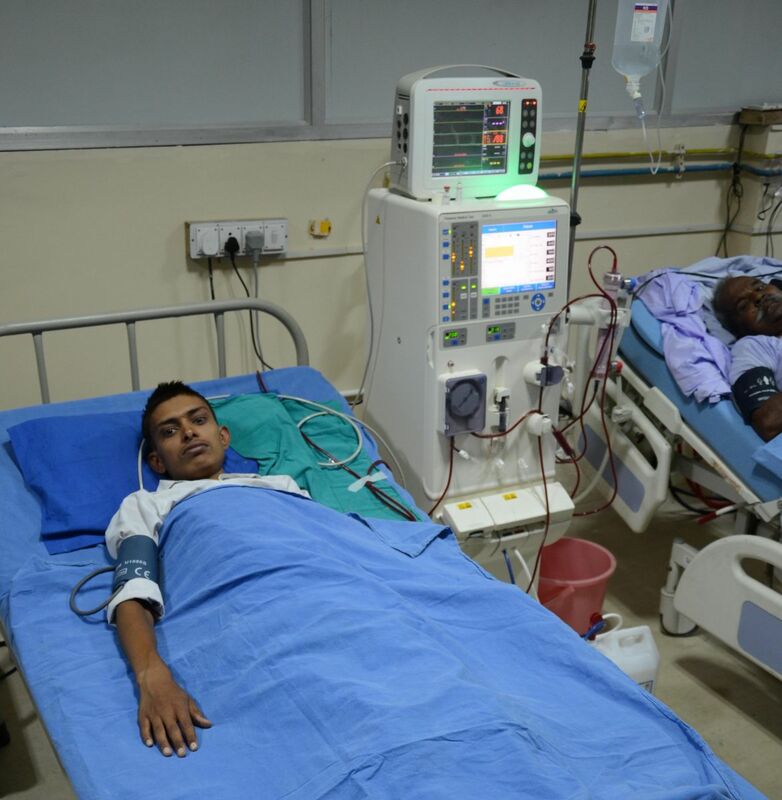 Renal Transplant: - Renal Transplant unit of MG Hospital has performed more than 450 successively successful related Donor Kidney Transplant & Cadaveric renal transplant in span of just three years. Patient from adjoining states of Rajasthan are coming to avail this facility at an affordable cost hence the work load is increasing exponentially. The First Kidney Transplant Center in the State who performed successful Cadaveric Kidney transplant , SWAP Kidney transplant and ABO incompatible Kidney transplant. HOLEP Laser - Holmium laser enucleation of the prostate (HOLEP) is a treatment for an enlarged prostate (benign prostatic hyperplasia). During HOLEP, a laser is used to precisely remove the obstructive portion of the prostate, similar to open surgery without the need for incisions. Holmium Laser treatment is a minimally invasive alternative to TURP (transurethral resection of the prostate). It uses laser energy to relieve enlarged prostate symptoms and is designed to reduce traditional complications associated with TURP. With holmium laser therapy, patients experience minimal pain after the operation and spend less time in the hospital than with TURP. They are also able to resume normal activities within a week. There are few to no sexual side effects with holmium laser therapy, and, unlike TURP, it can be performed on patients taking anticoagulant medications like Coumadin® (warfarin sodium). Department is also involved in undergraduate and post graduate teaching programme.